Aristocratic English poet Lord Byron and his friend, John Cam Hobhouse, arrived in Venice for the first time on this day in 1816. 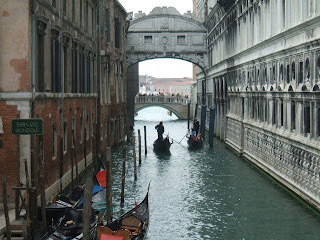 They put up at the Hotel Grande Bretagne on the Grand Canal and embarked on a few days of tourism. But it was not long before Byron decided to move into an apartment just off the Frezzeria, a street near St Mark's Square, and settled down to enjoy life in the city that was to be his home for the next three years. Byron has become one of Venice’s legends, perhaps the most famous, or infamous, of all its residents. Tourists who came afterwards expected to see Venice through his eyes. 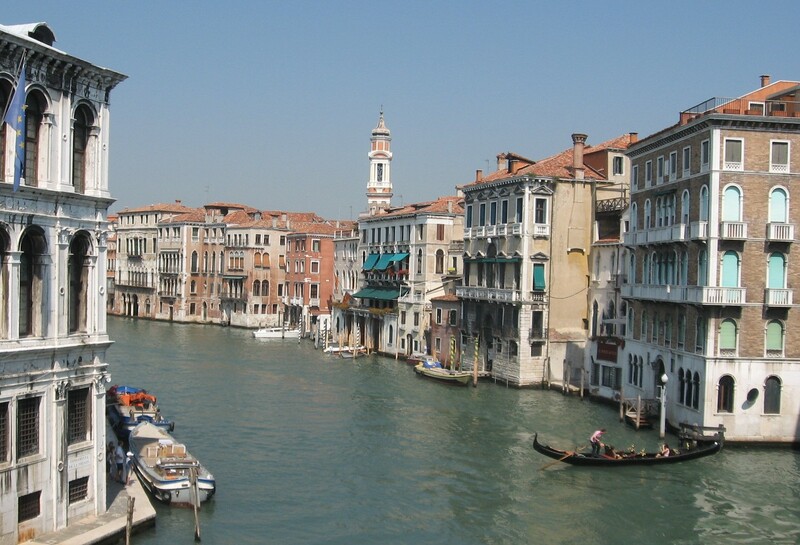 Even the art critic, John Ruskin, has admitted that on his first visit he had come in search of Byron’s Venice. Byron once wrote that Venice had always been ‘the greenest island of my imagination’ and he never seems to have been disappointed by it. He also wrote in a letter to one of his friends that Venice was ‘one of those places that before he saw them he thought he already knew’. He said he appreciated the silence of the Venetian canals and the ‘gloomy gaiety’ of quietly passing gondolas. He found the city inspiring for his poetry and was particularly impressed with the Palazzo Ducale (Doge’s Palace) and the Pozzi Prison, settings that were to feature in two of his dramas, Marino Faliero and The Two Foscari. It is believed he went to see the Bridge of Sighs on 11 November, the first morning after his arrival in the city and actually stood on the Ponte della Paglia, the bridge that stands between the Bridge of Sighs and the lagoon. 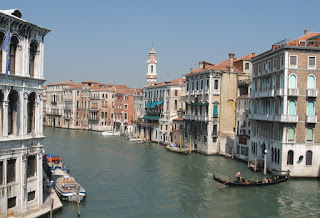 According to Ruskin, the view he saw that day became “the centre of the Byronic ideal of Venice’. From the San Zaccharia vaporetto stop head towards the Ponte della Paglia (literally Bridge of Straw) over the Rio di Palazzo canal that separates the Doge’s Palace from the prison. If the bridge is crowded, wait for a spot by the balustrades to become free to make sure you see the same view of the Bridge of Sighs that Byron had found so inspiring. To see Byron’s first lodgings in Venice, where he conducted his affair with the landlord’s wife, Marianna Segati, look for Calle della Piscina, off the Frezzeria, which is close to St Mark’s Square. Number 1673 marks the entrance to the rooms Byron rented nearly 200 years ago.